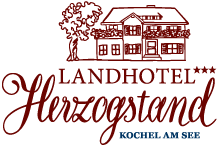 Our regular guests know it and appreciate it: The Landhotel Herzogstand in Kochel offers a fast Wi-Fi internet access for free! You can surf via wireless internet access thru the web everywhere in the Hotel Herzogstand as well outside in the beer garden and the natural garden. High-speed in DSL quality at a transmission rate of 6000 kbit / s. In some areas of the hotel, for example at the front desk or specific rooms, our internet has an even higher rate. How does it work? At the reception desk you will receive your personal Wi-Fi pass with your password to get access to the encrypted wireless network “herzogstand.net” of Landhotel Herzogstand in Upper bavaria. The access code gives you wireless internet access for as many devices as you wish. Whether with your smartphone, your tablet or your laptop – you can surf free with any device in DSL quality. You want to print something you can do that too. Whether indoors in one of our cozy theme rooms or outside in the beer garden with a cool beer: In Landhotel Herzogstand in bavaria near the alps you are always online at no additional cost – if you wish. Evaluate your stay! You are planning an event?